LOS ANGELES--(BUSINESS WIRE)--Chef Zipora Einav, author, innovator and CEO of Chef Zipora Enterprise, will unveil her new, one-of-a-kind FOOD VIBE EXPERIENCE™ to more than 500 attendees at the Women Economic Forum (WEF) 2018 conference on Thursday, November 29, 5pm PT at the JW Marriott Hotel in Los Angeles. A delightfully entertaining speaker, Chef Zipora’s talk about “Global Nutrition” will blend her natural quick-wit with personal stories and anecdotes from years of experience traveling the world and preparing meals for her celebrity and high-profile clients. 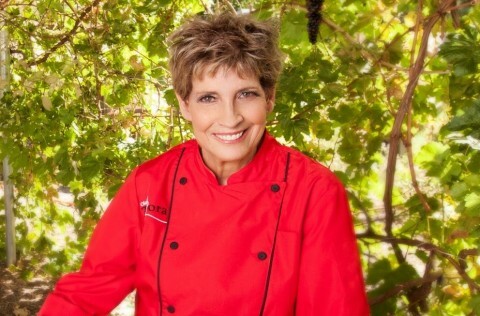 Passionate and dedicated to maintaining the health and vitality of hundreds of people in her role as a private chef over 20 years, Chef Zipora will share how she discovered and began infusing music into her food creations. More importantly, she will explain the positive impact and many benefits people experience when she raises the vibration of the food she prepares with specific types of music. Through her company’s products and services, and by offering one-of-a-kind dinner experiences to groups of 10-20 people at a time throughout the country and the world, Chef Zipora is on a mission to promote health and wellness for as many people as she can reach. Chef Zipora will offer many food tips to the audience during her talk at the Women Economic Forum. For example, many people don’t think to evaluate and improve their food choices when they are feeling low energy, have mood swings or lose interest in daily activities. Yet what we eat is directly related to how our we feel and how well our bodies can perform. Many people ask Chef Zipora how they can make sure that the foods they’re eating are high frequency and will serve their body to its highest and greatest good? She will tell them to first stop eating food that is not prepared with love and to take the time to personally prepare meals for themselves and their family whenever possible. It is not about preparing elaborate meals every night, but rather simple meals that can be prepared at home several times a week. Then, Chef Zipora recommends creating a high frequency environment when preparing your food by listening to the right music in order to have the ultimate experience in high vibration dining. Chef Zipora is available for a one-of-a-kind FOOD VIBE EXPERIENCE that will include a meal prepared live that pairs harmonic resonant frequencies to activate the fresh ingredients used to create a high vibration dining experience. Learn how to raise the frequency of your food and ultimately start living with the energy to match your ambition while also giving yourself and your family the gift of meals made with love. Chef Zipora’s book, Recipe for a Delicious Life, is available in Print and eBook at Barnes & Noble and on Amazon. Learn more at chefzipora.com. Chef Zipora unveils new FOOD VIBE EXPERIENCE at Women Economic Forum LA to promote food infused with music to live a high frequency, high energy life.